“I could not be happier with the quick response, home visit and follow up given when I called Custom Property Solutions, regarding my stairlift failure . Their problem solving methods saved me lots of money. Honest , reliability and a can do attitude at fair prices says it all." I'm enjoying my "embellished blue" bathroom. Thank you for working with me to make sure it came out the way I wanted. It was also a pleasure to meet you. I'm sure we'll run into each other at the Cathedral. I also definitely will keep you in mind when I'm ready for more projects. Tim is awesome! He has great ideas and has created unique custom looks for our remodel of our 1913 bungalow. He understood that we wanted to update our home but keep the overall look of a classic bungalow. He's dependable and always does quality work. 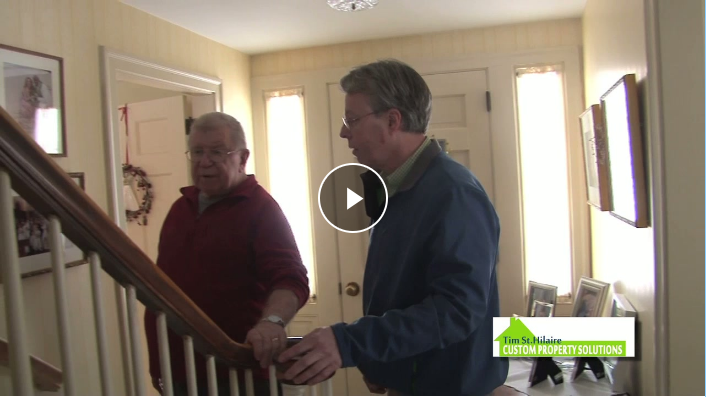 We're glad we found Tim to help us have the home that we've always wanted. Tim bends over backwards to get us what we need done around the house. Fixing leaking ceilings and their causes; installing new and safer entryways and steps. He has a wealth of knowledge for fixing and is a trustworthy guy to have around.